After President Emmerson Mnangagwa was declared winner of the July 30 elections, many expected Kwekwe to erupt into wild celebrations. The city had just produced Zimbabwe's only second leader in over 38 years and one of its own had carved his name in the country's history books. Mnangagwa is a household name in the gold-rich Midlands city and is always on everyone's lips. The former Justice minister's stock rose nationally and beyond Zimbabwe's borders following his role in former president Robert Mugabe's overthrow in November last year. There was a carnival atmosphere at Mnangagwa's Sherwood farm, on the outskirts of Kwekwe, after the stealthily executed coup against Mugabe and the Zanu-PF Midlands godfather's allies basked in glory. However, eight months later, It was gloom and doom for ruling party supporters in Kwekwe after the Zanu-PF leader was humbled by Nelson Chamisa and MDC Alliance candidates during the harmonised elections. The outcome of the July 30 elections had burst the bubble for the "Crocodile", as the president-elect is popularly known by his supporters. Mnangagwa lost to Chamisa in the three Kwekwe constituencies. The youthful MDC Alliance candidate polled a whopping 15 202 votes in Kwekwe Central against Mnangagwa's 4 888. In Mbizo constituency, Chamisa polled 18 564 votes against Mnangagwa's 5 597, according to the Zimbabwe Electoral Commission's final tally. Mnangagwa also trailed the 40-year-old politician in Redcliff, where he got 10 434 votes against his rival's 13 612. Even at polling stations named after him, voters had no mercy for the president-elect. At ED Mafidi Primary School, Chamisa got 857 votes against, Mnangagwa's 402. Mnangagwa went on to lose to Chamisa at Dambudzo Primary School where he got 344 against his rival's 1 275. His ally July Moyo was sent packing by an unheralded undertaker Lloyd Mukapiko (MDC Alliance) in the race for the Redcliff National Assembly seat. Other ruling party heavyweights with close ties to the president, who were seeking parliamentary seats in the city lost to MDC Alliance candidates and Zanu-PF reject Masango Matambanadzo of the Mugabe-linked National Patriotic Front. Zanu-PF won just one council seat out of 14 in the Kwekwe municipality to cap a very poor performance. For Jaspa Maphosa, the leader of the Zimbabwe Organisation for Youths in Politics, the dismal performance by Mnangagwa and his allies did not come as a surprise. "It was payback time for Mnangagwa and other Zanu-PF leaders here because they have failed to rein in ruling party youths who are in the habit of bullying people with impunity," he said. Maphosa claimed Zanu-PF youths had become the law unto themselves following Mnangagwa's ascendancy as they harassed people they suspected to be opposition supporters using the president's name. "There were a lot of people killed by machete-wielding thugs that claimed to be Zanu-PF supporters. If Mnangagwa had raised his voice against such crimes, we are certain they would have stopped," he said. "However, the president and Zanu-PF remained quiet, leaving the residents with no choice, but to express their anger by rejecting them during the elections." Anti-Corruption Trust of Southern Africa director Obert Chinhamo said Mnangagwa and Zanu-PF had become unpopular in the city because of chaos in the small-scale gold mining industry in areas surrounding the city. "We had situations where known Zanu-PF bigwigs would grab mines and use the party register to determine who worked at the claims," he said. "This left the majority of unemployed people angry. One such example is Gaika mine that was taken over by Zanu-PF people who went on to exclude locals." Last year, one of Mnangagwa's allies, Vongaishe Mupereri, was dragged to the High Court by Gaika mine manager Carel Hendrick Meyer after the Zanu-PF heavyweight illegally grabbed the mine from its owners. Mupereri was ordered by the court to leave the mine, but Zanu-PF youths stayed put and continued to carry out illegal mining activities with the backing of senior ruling party officials. Several people who tried to join in the illegal mining were allegedly brutally attacked by the Zanu-PF youths. Mupereri went on to lose the Mbizo constituency to MDC Alliance's Settlement Chikwinya. 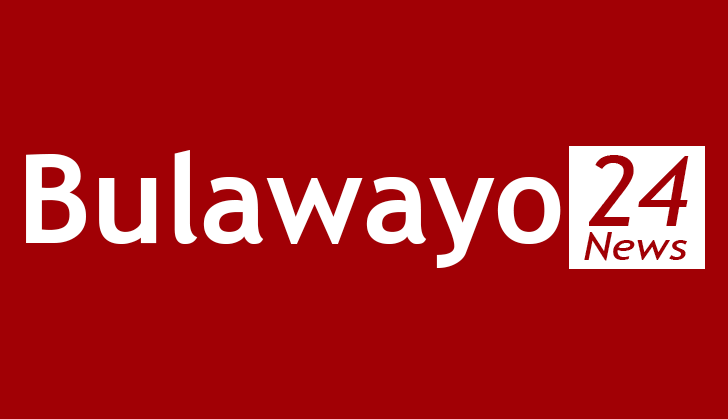 Chikwinya said corruption and the violence by people who claimed to be Zanu-PF supporters contributed to the ruling party's defeat in the city. He said some bigwigs who were close to Mnangagwa abused illegal miners who were trying to eke out a living and this proved to be their downfall. "Perpetrators of machete violence funded impunity by Zanu-PF activists and this was blamed on Mnangagwa and his allies," Chikwinya said. "So when the people of Mbizo voted, they were making a statement against all this. "If Mnangagwa does nothing to stop violent gangsters like the Al Shabbaab and the corrupt in Zanu-PF, he must forget about winning in Kwekwe." The MP-elect said Kwekwe voters also did not believe that Mnangagwa was a changed man following the ouster of his long-time mentor, Mugabe. "The people of Mbizo are aware that Mnangagwa was a player in the Zanu-PF administration since 1980 and the July 30 vote was a statement to say we know who destroyed Ziscosteel, we know who destroyed Lancashire Steel, we know who has made life a misery for the majority of Zimbabweans and that person is Mnangagwa and Zanu-PF as an institution," he added. "So they gave Mnangagwa and Zanu-PF a vote of no-confidence." Mukapiko a Redcliff resident said unfulfilled promises made by Mnangagwa soon after the coup, that included the revival of Ziscosteel cost the president and his party the election. "They were lying that they had opened Zisco," he said. "Since getting into power in November last year, the Mnangagwa administration never fulfilled their promises of improving the lives of people in Redcliff. "So no matter how hard they campaigned, they were bound to lose this election." Cornelius Mupereri, who is the Zanu-PF spokesperson for Midlands, claimed there was vote-rigging in Kwekwe where outsiders allegedly voted against the ruling party. "We found out that voters were bussed from outside Kwekwe to come and vote against us," he charged. "The people of Kwekwe voted for President Mnangagwa and Zanu-PF. "We discovered that some came from as far as Harare specifically from colleges like the University of Zimbabwe to vote against president Mnangagwa and his allies. "If you look at Mbizo for example, we are used to seeing a person with average votes of 6 000 winning, but this time the one who won had 18 000 or so. Voters were bussed in." Mupereri also dismissed claims that Zanu-PF youths were behind the crime wave in gold-mining areas where they hid behind the ruling party's name. "Mines are privately owned and so we are not involved as party leadership," he said. "Again we do not dictate terms to police so that they don't arrest our supporters. "Actually, we have had meetings with the police telling them to do their job without fear or favour and to arrest anyone who commits a crime." Mnangagwa avoided a run-off election after winning by 50,8% of the vote, but Chamisa is challenging the result at the Constitutional Court, citing alleged vote-rigging and intimidation. Before taking over from Mugabe, Mnangagwa had lost twice to MDC's Blessing Chebundo in the Kwekwe Central parliamentary contest. He finally retreated to the rural Chirumhanzu/Zibagwe constituency.